On May 12, 2017, Based on document for inquiry of application of safeguard measures, regulations of World Trade Organization (WTO) and Vietnamese Law , the Ministry of Industry and Trade (MOIT) has promulgated Decision No. 1682A/QĐ-BCT on investigation and considering the application of safeguard measures. On August 04, 2017, Based preliminary investigation result of investigation authority, Minister of MOIT issued Decision No .3044/QĐ-BCT on applying temporary safeguard measures with tax being VNĐ1,855,790 per ton. In accordance with regulation of law, temporary safeguard measures shall be applied no later than 200 days (from August 19, 2017 to March 6, 2018). On Jan, 2018, The investigation authority completed conclusion of final investigation to submit to Minister of the Ministry of Industry and Trade (MOIT) for consideration and decision. 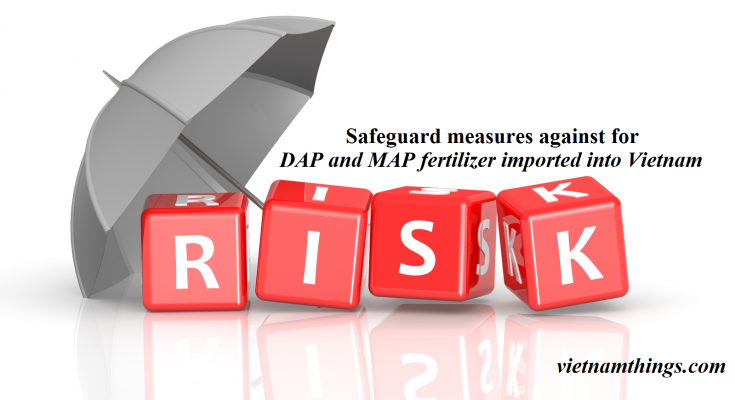 Imported products against which official safeguard measures are applied include DAP and MAP fertilizer of HS codes as follows: 3105.10.20; 3105.10.90; 3105.20.00; 3105.30.00; 3105.40.00; 3105.51.00; 3105.59.00; 3105.90.00. Fertilizer products containing one of the following ingredients shall be excluded from the scope of application of official safeguard measures: Nitrogen (N) < 7%; (P2O5) < 30% and Ka-li (K2O) >3%. Pursuant to Article 13 of the Government’s Decree No. 150/2003/ND-CP dated December 08, 2003 detailing the implementation of the Ordinance on safeguards in the import of foreign goods into Vietnam (Decree 150/2003), official safeguard measures shall be imposed on products imported from all countries/territories ( called as the country), except for developing countries whose quantity of products exported to Vietnam does not exceed 3% of total quantity of products imported to Vietnam and total exports of developing countries does not exceed 9% of total imports of Vietnam. 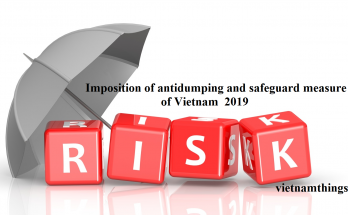 A list of developing countries whose quantity of products exported to Vietnam does not exceed 3% of total quantity of products imported to Vietnam ( called as of countries/territories eligible for exemption from official safeguard measures) is provided in Appendix of this Notice. In case import from a developing country at this list is over 3% of of total quantity of products imported to Vietnam , MOIT shall issue decision on amendment and supplementation of this appendix. Regarding import organization and individual , in order to exempt from official safeguard measures as above regulation, beside dossiers specified by customs agency and specialized agency, when importing goods, Certificate of Origin shall be submitted to customs agency in compliance with current regulations. The Certificate of Origin clearly specifies imported goods originating from the countries named in the Appendix of this Notice. 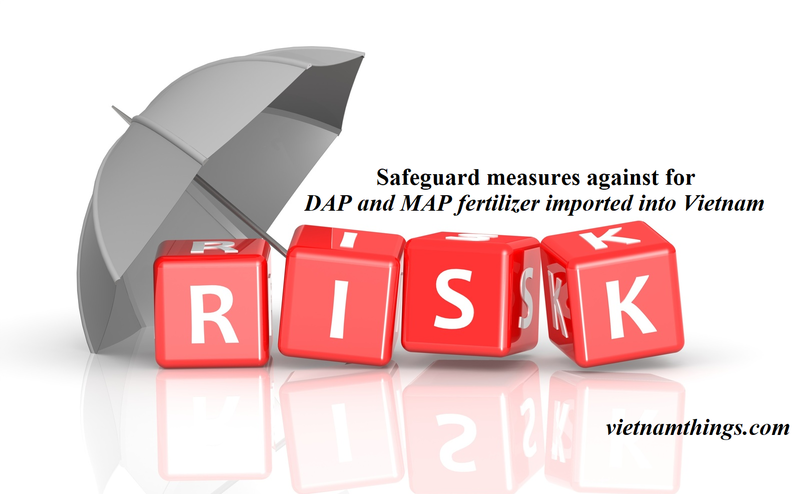 The information about the Decision on application of official safeguard measures against the import of DAP and MAP fertilizer and conclusion of final investigation (Public one) is available at the website of the Ministry of Industry and Trade (http://www.moit.gov.vn) and Trade Remedies Investigation Division- the Ministry of Industry and Trade (http://www.pvtm.gov.vn/; http://www.trav.gov.vn).